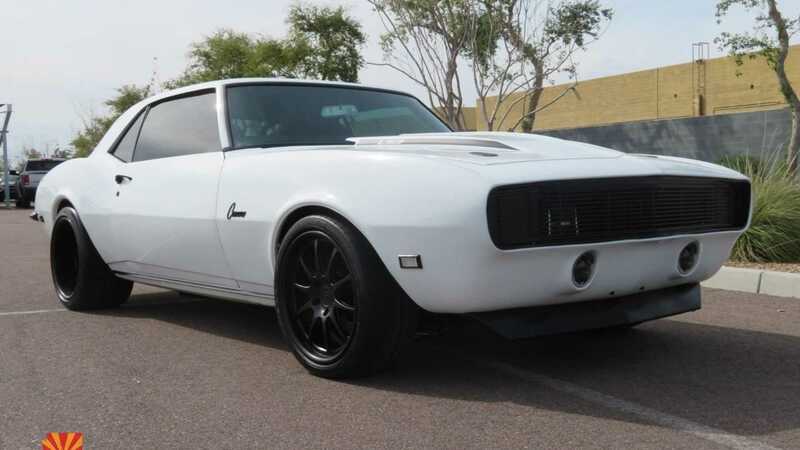 This white 1968 Chevrolet Camaro is a ProTouring dream build. It is powered by a 6.2-liter LS3 V8 and only has 800 miles on the odometer. 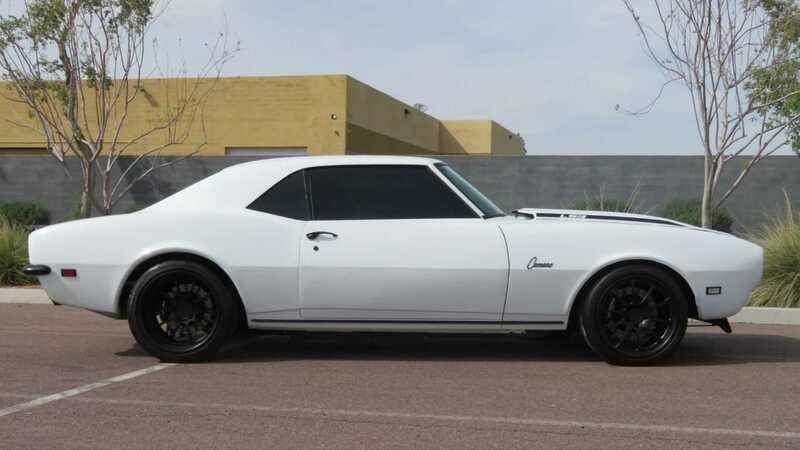 The first-generation Chevrolet Camaro began arriving at Chevy dealerships in September 1966 as a 1967 model. The rear-wheel-drive coupe based on General Motor's F-body platform was built as a direct competitor to the Ford Mustang. 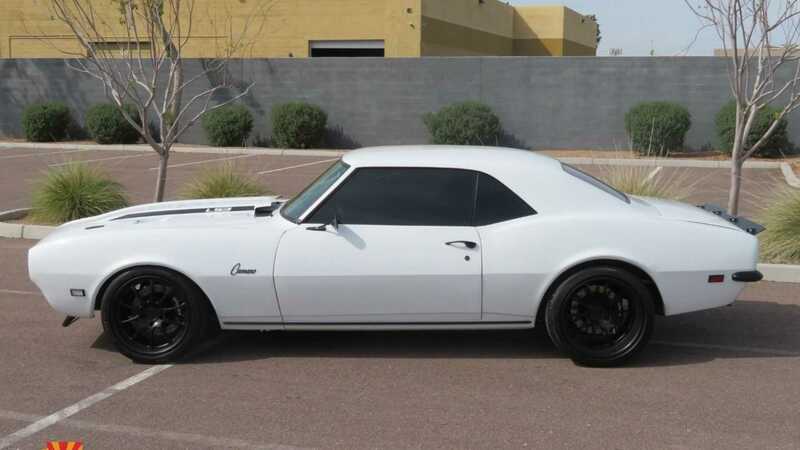 After the launch, the Camaro was available as a two-door, 2+2 seat, hardtop coupe, and a convertible. 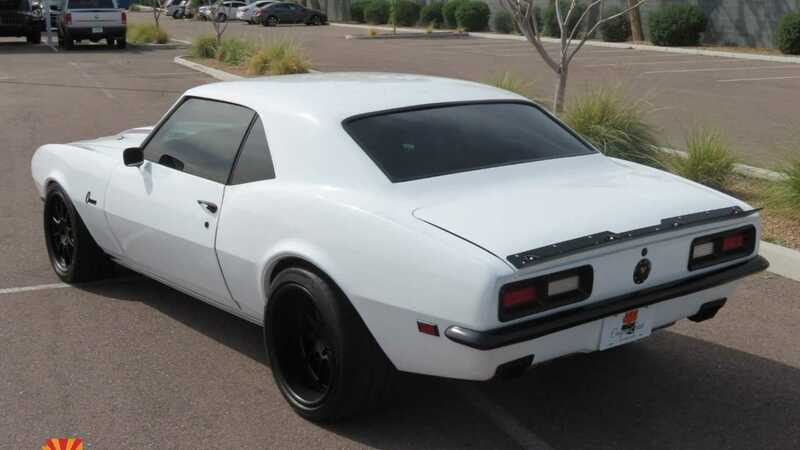 Under the hood, the Camaro was powered by a variety of inline-six and V8 engines. 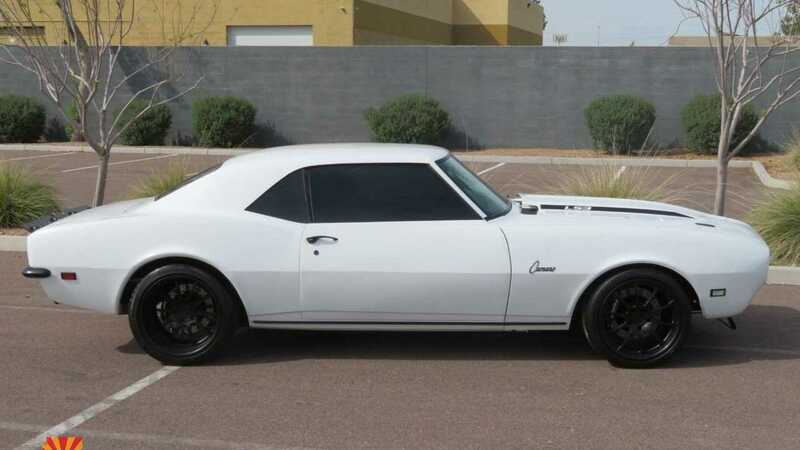 Depending on the engine selection, they were either paired to a three-speed and a four-speed manual or a two-speed and three-speed automatic transmission. Power from the engine was exclusively sent to the rear wheels. 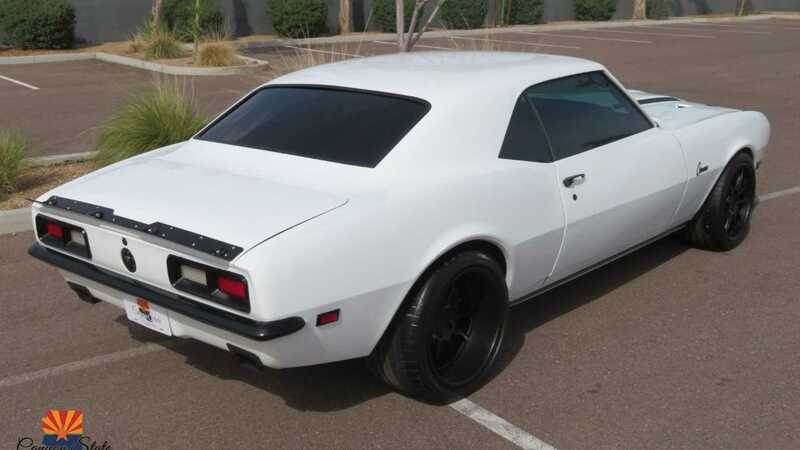 The first-generation Camaro was built through 1969 at both plants in Norwood, Ohio and Van Nuys, California. 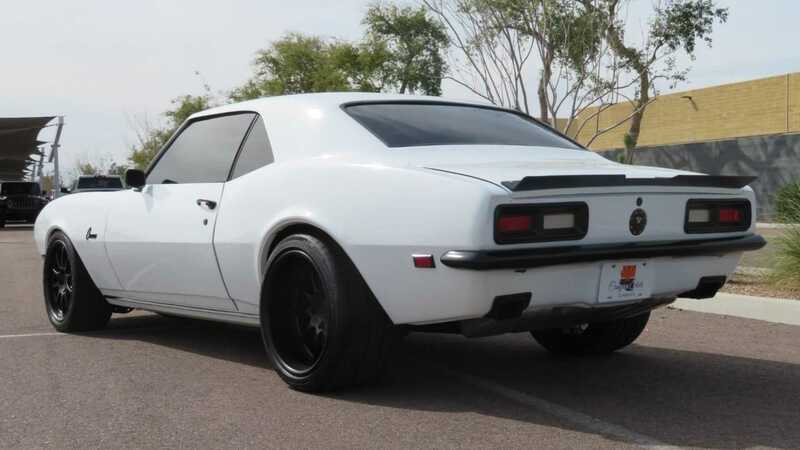 Interestingly, the Chevy Camaro was also built in five factories outside of the United States located in the Philippines, Belgium, Switzerland, Venezuela, and Peru. 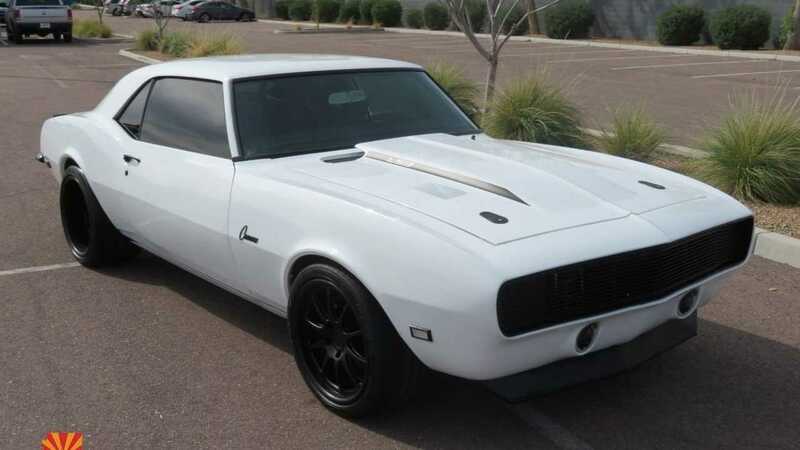 However, this particular 1968 Chevrolet Camaro Restomod currently for sale at Canyon State Classics in Tempe, Arizona perfectly blends the look of an old-school muscle car along with the handling capabilities of a modern sports car. 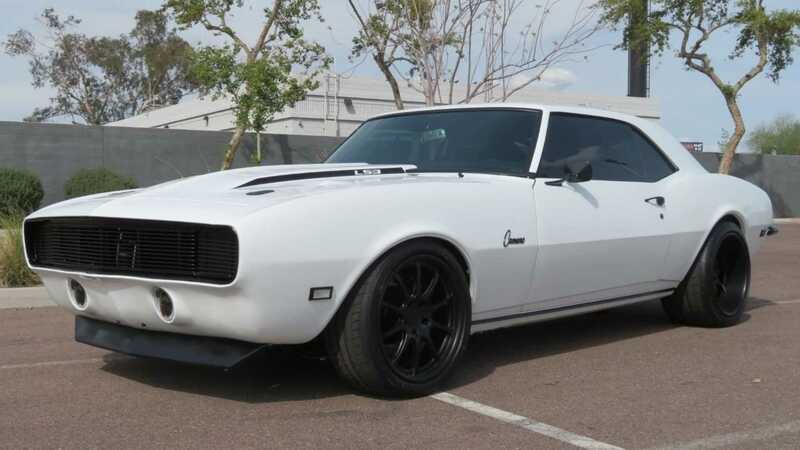 Under the hood, this Camaro Restomod is powered by a 6.2-liter LS3 small block V8 and is bolted to a Tremec T-56 six-speed manual transmission. 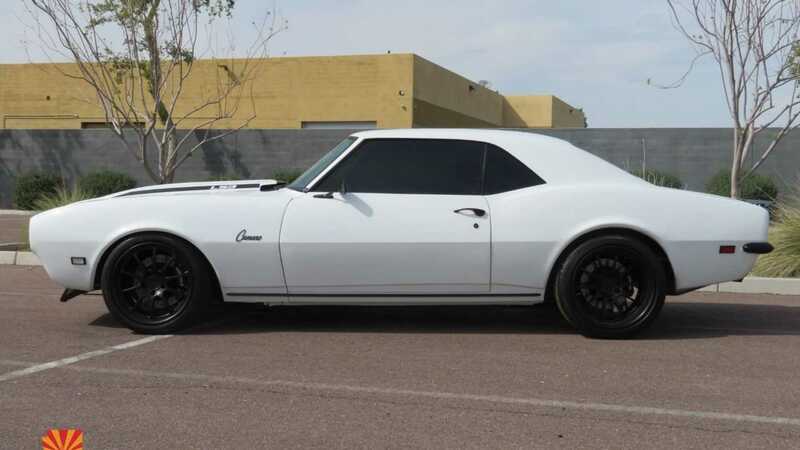 The listing also states that this car has only done 800 miles since its recent restoration. 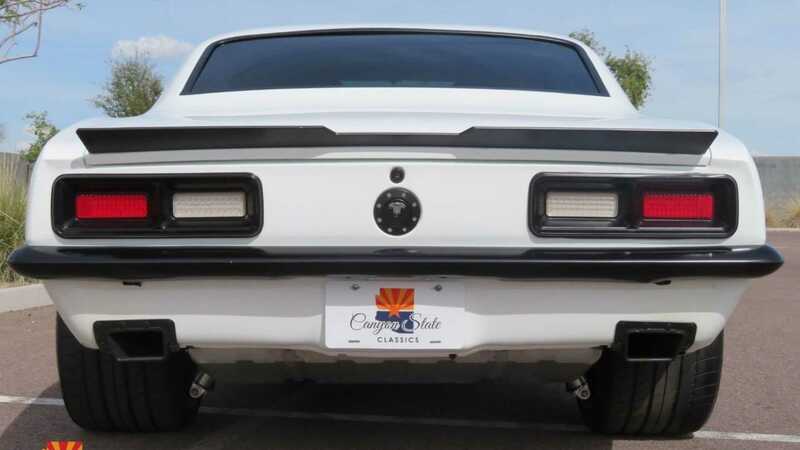 The dealership states that during the restoration process, more than $150K was spent on this car and the end result is a rust free vehicle with a very straight body. 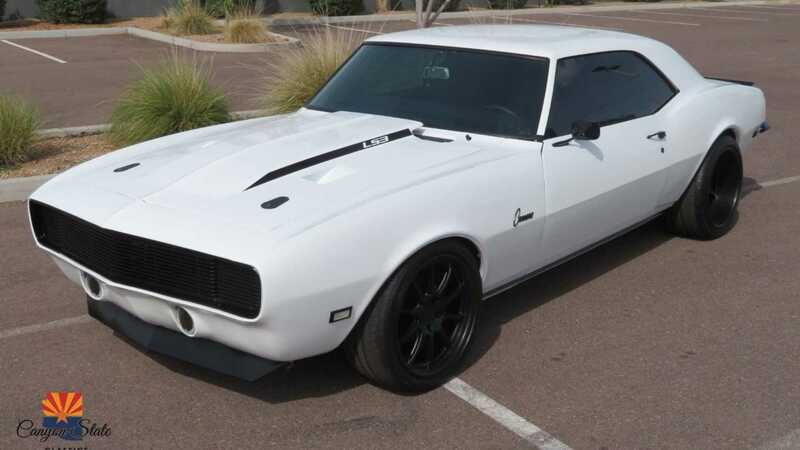 While there are no images of the interior of this 1968 Camaro Restomod, the listing does mention that the cabin is fitted with Sparco seats covered in black leather, and a custom dashboard houses the car's sound system along with Navigation. This Camaro puts power to the ground via a set of super sticky Michelin Pilot Sport ZP tires mounted on 18-inch wheels. 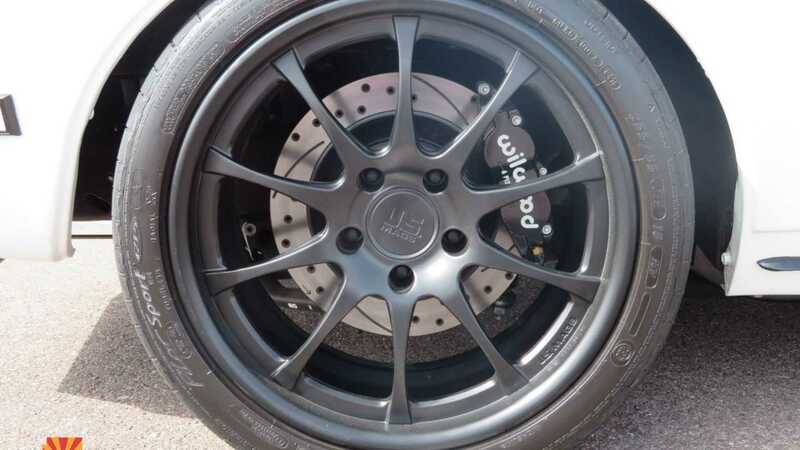 Wilwood brake pads along with a set of vented, slotted, and cross-drilled rotors on all four corners bring this Camaro to a stop in a safe distance. 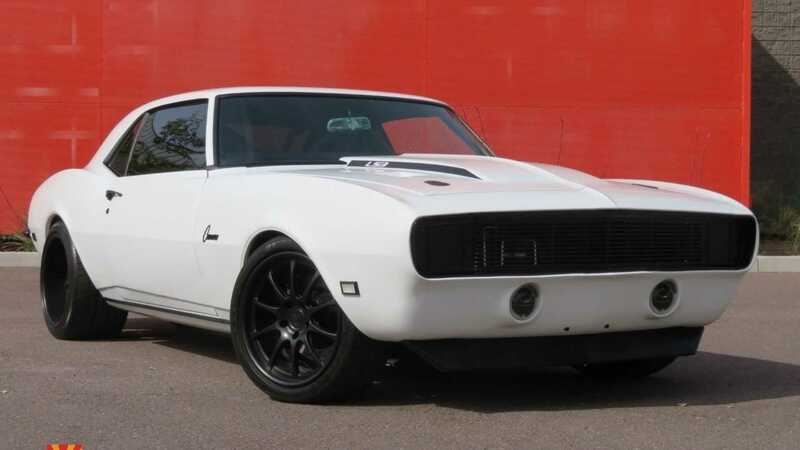 If you are currently looking for a ProTouring spec vintage muscle car to have some fun with at your local race track, then this 1968 Chevrolet Camaro Restomod currently for sale at Canyon State Classics for $94,900 might be the right car for you.